This children's watch from Limit is perfectly designed for those little active ones that nned to tell the time. With a hard wearing black silicone strap and clear black dial with white hour and minute markers, this watch will stand up to the tests that a child will no doubt put it through. This watch is also water resistant to 100 metres. 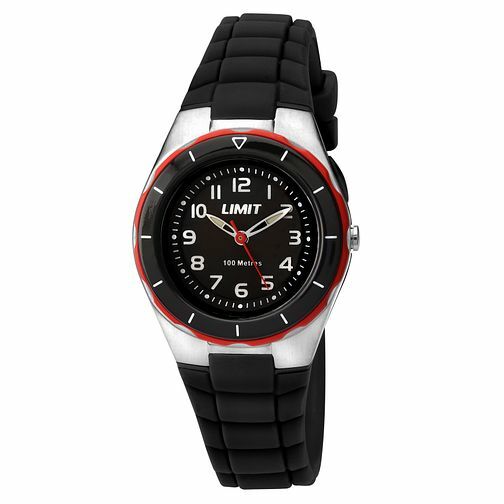 Limit Children's Black Strap Watch is rated 5.0 out of 5 by 1. Rated 5 out of 5 by Anonymous from Great watch for my teenage grandson This is a great watch for a young teenager and my 13 year old grandson loves it. Great quality and a great look, very pleased.